It has been reported by users that it is particularly good for reducing the effects of stress and te nsion ,Indian head massage is based on the ayurvedic system of healing which has been practiced in India for over a thousand years. It provides Indian families with relaxation and healing on a daily basis, as well as playing a part in rituals such as weddings and births, not to mention everyday events like a trip to the barber. Indian head massage is a massage of the Upper body, neck, scalp and face, arms and hands can also be done at an extra cost. 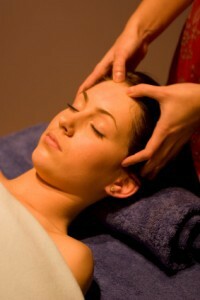 Indian Head can be done clothed in a work place or company Event please ask for detail of our on sit massage.